Do you knead a bread maker?? This incredible bread maker lets you program your own recipes and adds ingredients for you. It features an automatic Fruit & Nut Dispenser, collapsible kneading paddle and progress indicator so the user can see what is happening at each stage. 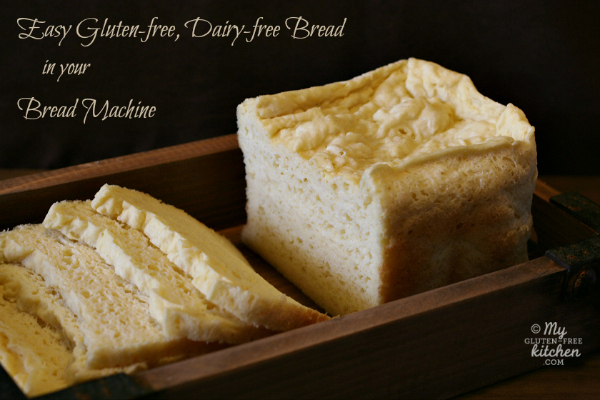 Of course, I wouldn’t be recommending it if you couldn’t make gluten-free breads in it! There is a gluten-free setting! You can read more about this bread maker here . « 14 Sneaky Ways We’ve Been Glutened! This is an essential for any person who needs to mulit-task! Isn’t that all of us?? My attempts at making gf bread have been disastrous! This machine could let me enjoy a warm, fresh slice of bread! Yeah!! Just wanted to let you know that the links for “Just take shape email subscription” and “Veg Mamma email subscription” aren’t leading to the right place 🙂 Oh and by the way this is AWESOME!!!!!!!!! Thanks Jennessa! I let the organizer know and she said they are fixed now! Good luck to you!